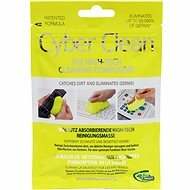 Special Swiss Cyber Clean cleaning materials developed for cleaning car interiors, boats, etc. Without knowing it, upholstered devices may be the dirtiest things we come into contact with. The cleaning material itself shapes and moves, so when you apply it, it reliably gets into the cracks and hard to reach corners where dirt, dust, etc. collect. It is also a disinfectant. It is a reliable recipe, does not leave stains on the products and is absolutely harmless. The material is supplied in a container. 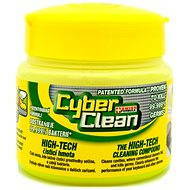 For shipping to other EU countries visit this page Cyber Clean Car And Boat 145g. Für Versand nach Deutschland, besuchen Sie bitte Reiniger Cyber ? ?Clean Car and Boat 145g. Chcete doručit zboží do Česka? Prohlédněte si Cyber Clean Car And Boat 145g. Chcete doručiť tovar na Slovensko? Prezrite si Cyber Clean Car And Boat 145g. Für Versand nach Österreich, besuchen Sie bitte Reiniger Cyber ? ?Clean Car and Boat 145g. Magyarországra történő kiszállításért tekintse meg ezt a termékoldalt: Cyber Clean Car and Boat 145 g.